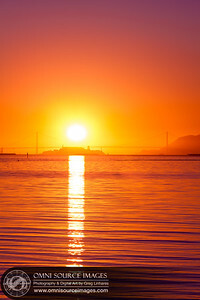 San Francisco Bay Area Sunrise - SuperHD Panorama (15,265x5088pixels/300dpi/3:1). 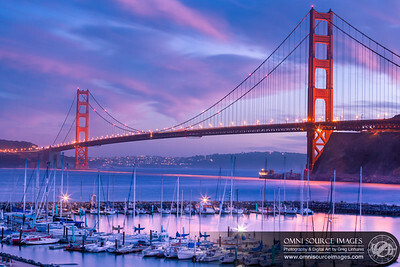 Created from six, overlapping vertical exposures and blended into one seamless image. 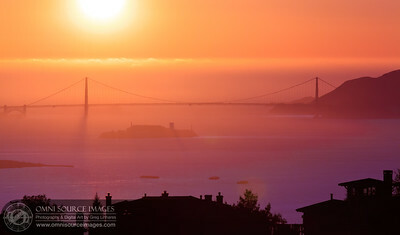 Golden Gate Bridge from Horseshoe Bay Sausalito. Saturday, May 5, 2012. 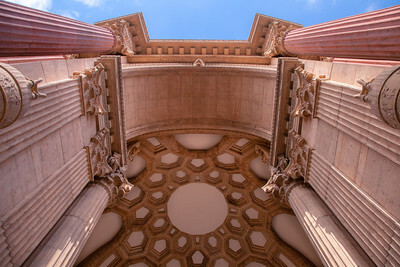 The Palace of Fine Arts - 1915 World's Fair Centennial Lighting SuperHD Panorama (12,490 x 5352 pixels/300dpi). Created from five vertical exposures, digitally stitched and blended into one, seamless image. Saturday, February 21, 2015 at 6:21 PM. Oakland-SF Fog Bank at Twilight. 12, March 2013 at 6:45 PM. 30 seconds at f/22, ISO 100, 365mm. 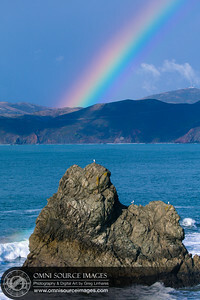 Seen from Land's End San Francisco, CA on November 20, 2011 at 2:32 PM. 1/400 sec at f/8.0, ISO 100, 140mm. 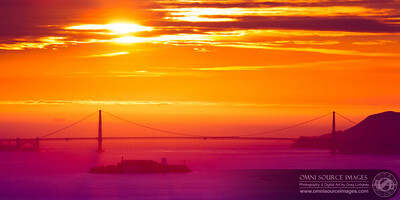 San Francisco Skyline at Sunset - HD Panorama 11,614 x 5308 pixels. 1/8 second at f/16, ISO 50, 400mm. 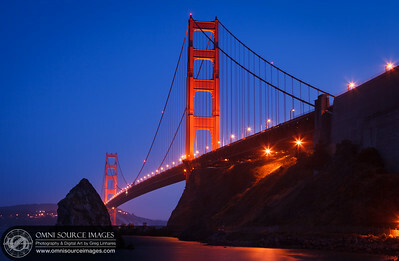 Original file was created from five (21MP) vertical images stitched together. Thursday, January 17, 2013 at 5:13 PM. 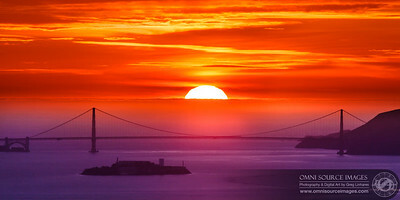 Alcatraz-Golden Gate Bridge at Sunset. Oct. 16, 2012. 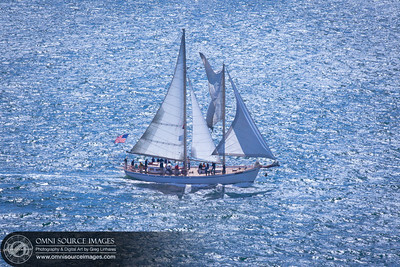 Seen from Angel Island on September 6, 2014 at 2:56 PM. 1/400 sec at f/11, ISO 200, 200mm. 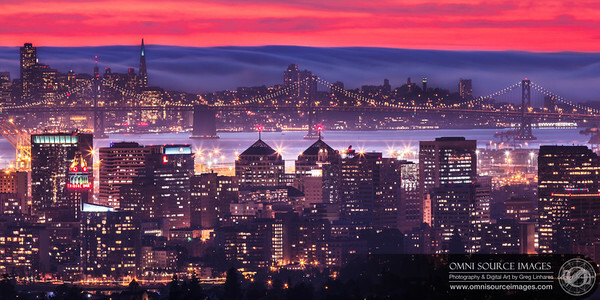 Oakland-San Francisco Sunrise - Super-HD Panorama (22,220 x 5555 pixels/300dpi Original). Digitally stitched and blended from eight vertical exposures. Saturday, October 4, 2014 at 7:28 AM. 1/10 sec at f/16, ISO 50, 400mm. 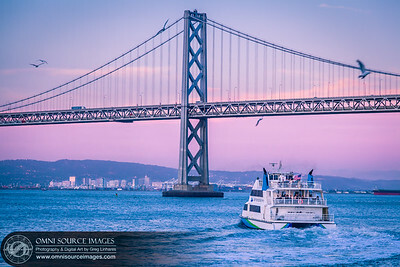 San Francisco Pre-Dawn Twilight (Super HD-Panorama 1:3). 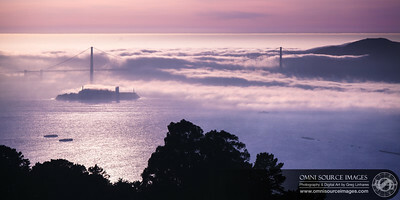 Viewed from the Oakland Hills, this cropped version of the Original (22,549 x 4510 pixel/300dpi) image is 11,721 x 3907 pixels and can alos be printed up to 96" in length without any loss of detail! Sunday, December 29, 2013 at 6:57 AM. 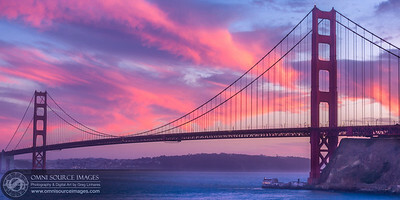 San Francisco Pre-Dawn Twilight (Super HD-Panorama 1:5). 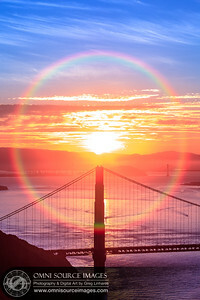 Viewed from the Oakland Hills, this (22,549 x 4510 pixel/300dpi) image is made up from 11 individual, high-res vertical exposures digitally stitched to form this one enormous file. Can be printed up to 96" in length without any loss of detail! Sunday, December 29, 2013 at 6:57 AM.